Maria Sharpova seems to be making the most of some time away from tennis. The five-time Grand Slam champion pulled out of the St. Petersburg Open recently due to a shoulder injury. And, the Russian diva jetted off to Marrakech, Morocco, to enjoy some downtime with her rumoured boyfriend Alexander Gilkes. The couple have been apparently there since the last four days. Sharapova has kept her 3.4 million Instagram followers updated with her latest pictures from the getaway. “Spent the weekend exploring Marrakech for the very first time,” she wrote. 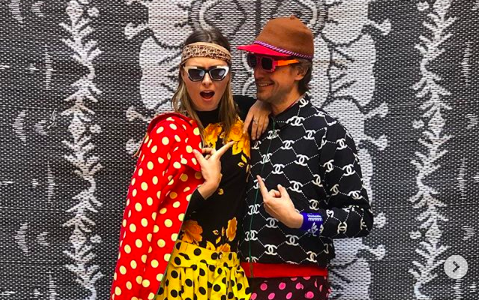 In her latest post, Sharapova can be seen dressed up in local flavor as she posed for a photo shoot next to Gilkes. “Goes to Morocco once, plays dress up and gets photographed by the brilliant artist @hassanhajjaj_larache in the middle of the souk,” read her caption. Now, that’s one way of dealing with injury concerns, isn’t it?